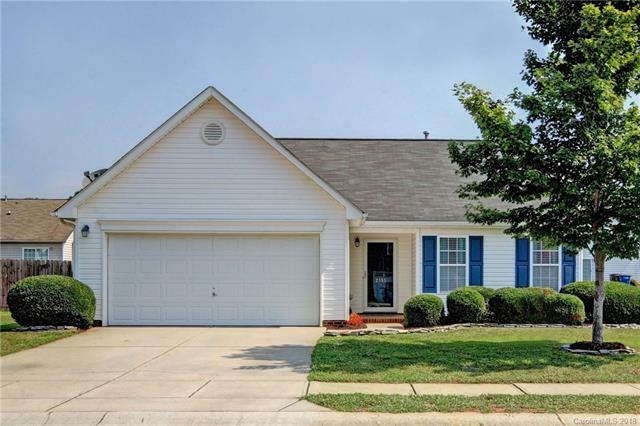 2155 Edenderry Drive, Statesville, NC 28625 (#3410148) :: Robert Greene Real Estate, Inc. This charming one story home is located in the Tara's Trace subdivision and offers 3 bedrooms and 2 full bathrooms. Home has been meticulously maintained by the original owner and is move in ready! This home has great entertaining spaces with the kitchen, dining, and living room open to one another. The spacious kitchen features an island with a pantry. Dining area has sliding doors that lead to the patio. Conveniently located next to Statesville soccer complex. Community access the playgrounds, walking trails, frisbee golf and picnic areas. The Statesville Parks and Recreation fitness center and public pool are close by. Just minutes away from shopping, dining, and gyms, I40 & I77.